Courtesy Ben Tolo, San Diego Supercomputer Center. 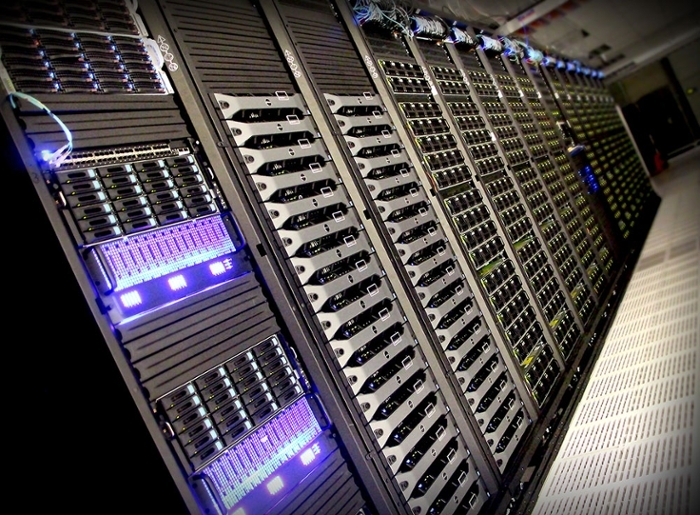 The Open Science Grid (OSG) has added high-performance virtualized clusters to its global infrastructure by taking advantage of a new and unique capability of the San Diego Supercomputer Center (SDSC) Comet supercomputer. Open Science Grid taps Comet supercomputer. Comet's virtual clusters key to inclusion, allowing remote users from all over the country. Last week at the Supercomputing 2015 conference (SC15) in Austin, TX, the San Diego Supercomputer Center (SDSC) presented details about the US National Science Foundation’s (NSF) newest supercomputer, Comet. Among its many features, Comet boasts high-performance virtualization clusters, anunique attribute that secured inclusion in the Open Science Grid’s global infrastructure. Comet, the result of an NSF grant worth almost $24 million (€22.7) including hardware and operating funds, is the first eXtreme Science and Engineering Discovery Environment (XSEDE) production system to support high-performance virtualization at the multi-node cluster level. The cluster’s use of Single Root I/O Virtualization (SR-IOV) means researchers can use their own software environment, as they do with cloud computing, but achieve the high performance they expect from a supercomputer. “Together, we're creating a seamless interface between the nation's two leading open scientific computing infrastructures – OSG and XSEDE.” ~ Michael Norman. Beginning with the next XSEDE allocation review in December, it will be possible to request allocations transparently across Comet and OSG. Comet is a Dell-integrated cluster using Intel’s Xeon® Processor E5-2600 v3 family, with two processors per node and 12 cores per processor running at 2.5 GHz. Each compute node has 128 GB (gigabytes) of traditional DRAM and 320 GB of local flash memory. 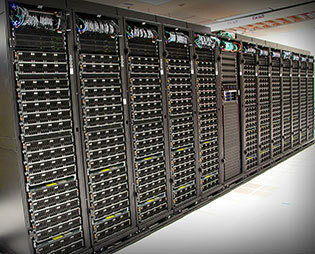 There are 27 racks of these compute nodes, totaling 1,944 nodes or 46,656 cores. Comet has four large-memory nodes, each with four 16-core processors and 1.5 TB of memory, as well as 36 GPU nodes, each with four NVIDIA GPUs (graphic processing units). Comet’s ‘bare metal’-like approach means that a virtual cluster looks, feels, and performs almost exactly like the physical hardware. This enabled OSG to dynamically turn servers provisioned by Comet into an HTCondor pool and add new capability with very little additional overhead and significantly reduced administrative burden. Würthwein joined SDSC, an Organized Research Unit of UC San Diego, in January 2015 to help implement a high-capacity data cyberinfrastructure across all UC campuses, as well as connect to key cyberinfrastructure organizations such as OSG. Würthwein was OSG’s founding executive during 2005, and has again served as its executive director since February 2015.